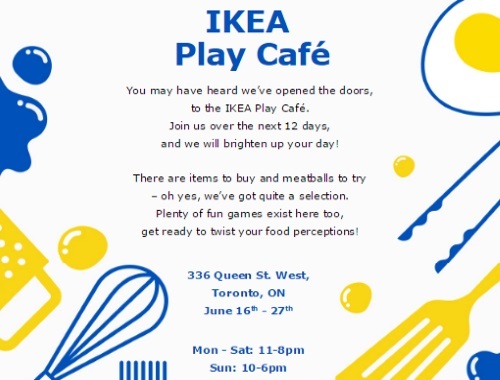 Canadian Daily Deals: IKEA Play Cafe Now Open! IKEA Play Cafe Now Open! I walked past this yesterday as they were setting up, looked pretty cool! IKEA has opened a "Play Cafe". It's a pop-up store where you can come shop, play and eat! Visit their current pop-up store in Toronto on Queen St West for the next 12 days.